The "brewing company" design will definitely add a unique twist to this personalized gift item as well as give him a great way to drink his favorite brew. 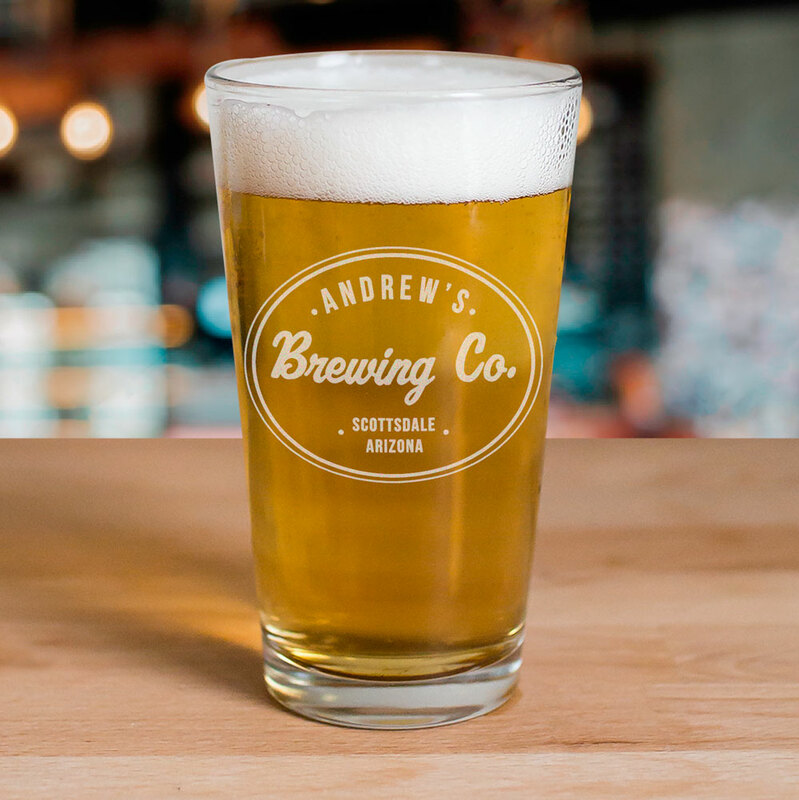 Personalize this beer glass with any name , any city and any state to create a great gift idea for any beer lover you know. Nice heavy glasses and etched beautifully!